Refer to the BPR GLOBAL OPERATING INSTRUCTIONS…. All Rules in the Global Operating Instructions will be followed by all dudes in the BPR KS Crew. No deviations, clarification, additions were provided to The Founding Fathers as of this update. Churchy is the founder, the leader of BPR Kansas chapter. This dude is a mystery – but we do know a few things about Churchy. Churchy rips it up on Klunkers and coaster brakes. So, if you don’t know Churchy and if you don’t know what a Klunker is or anything about the Klunk’n lifestyle, then let me explain. Churchy = BPR Kansas Leader + Klunker + Coaster Brake + Fashion Icon = Chick Magnet. That’s right. Churchy may be Churchy. Be the dude’s also a Chick Magnet. Just like Gnarly is a Chick Magnet. But Chicks, aka Foxy Mamas, if you are looking for a Chick Magnet then look elsewhere in the Back of the Pack Crew. Because Churchy (and Gnarly) are taken, as far as I know. 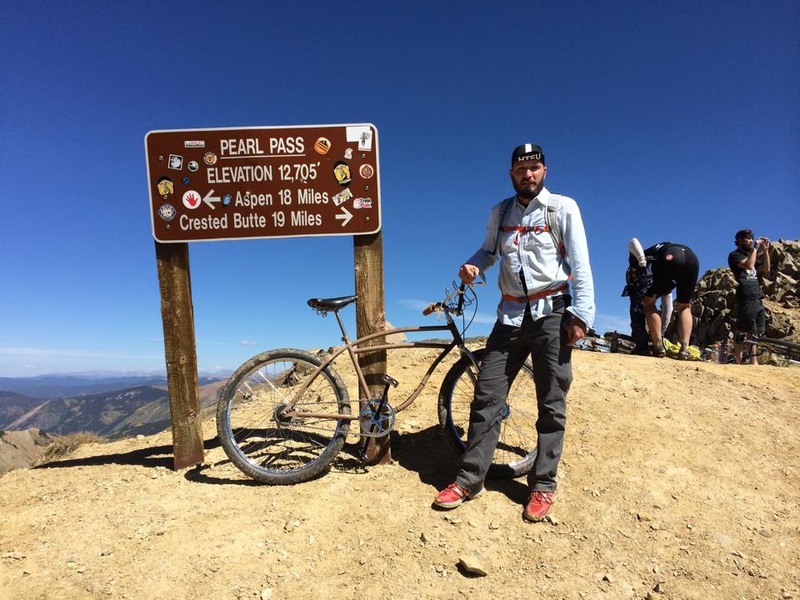 Anyway Churchy The Chick Magnet is a dude that has no fear of pushing a 1940 Schwinn up and over Pearl Pass. This dude has no problem finding adult toys on the side of this road. This dude likes beer. This dude like beer and cats. (But I didn’t say this dude like beer and oxygen breathing cats. Just a minor detail I must mention.) And this dude like brass knuckles. So… If you see Churchy out there Klunk’n away, feel free to put down some beer, talk brass knuckles. Just don’t ask the dude to show any real emotion to you cute little feline.